Let’s talk preparation. The holidays are not far away and a little work now will make all the difference. Blueberry Breakfast Cakes will sit happily in your freezer, defrost overnight and in just a few minutes, warm up for a delicious breakfast. No fuss. No trouble. And you look like a genius host. Some foods just lend themselves to freezing. By the time we get to November, I’ve got a few bags of blanched green beans, roasted corn and frozen blueberries ready to get me through the winter months. Good food in your freezer is fabulously useful as we get into the holiday season. Serve roasted corn alongside black beans, leftover chicken (or turkey! ), warm tortillas and bright, sassy salsa for a quick taco night. Green beans? Sauté with minced shallots until well cooked and finish with a handful of toasted almonds, a sensational side for an omelet. 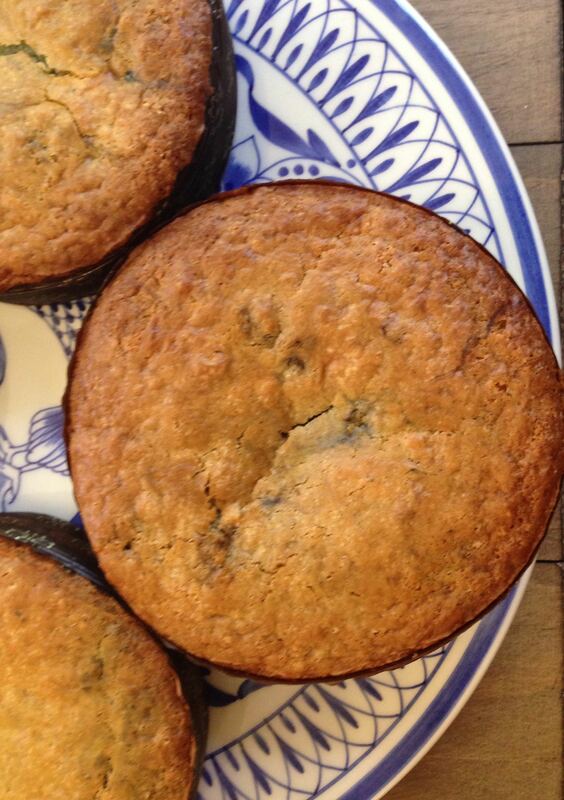 And, oh, those blueberries. Beyond the smoothies, after the hand pies, in addition to the waffles, just make these pretty little cakes. 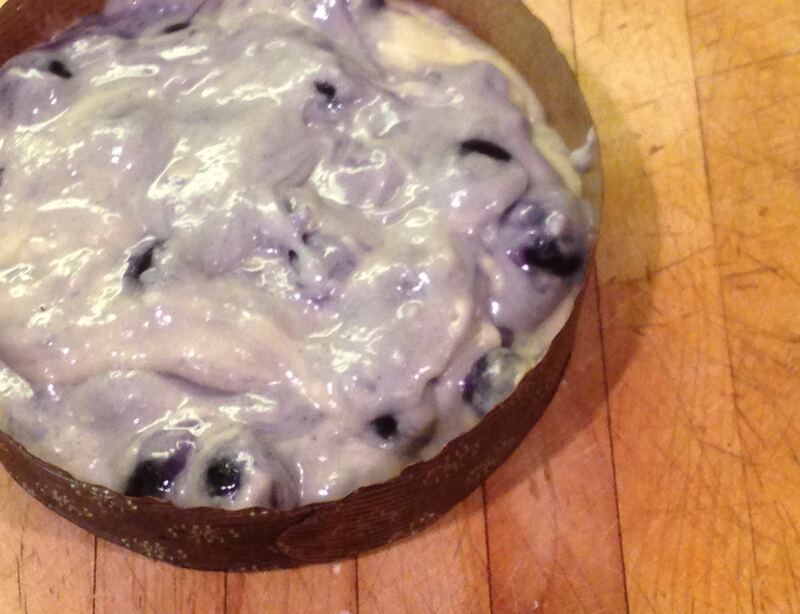 Blueberry breakfast cakes make guest-filled holiday mornings even easier. Just bake ahead and freeze. These cakes are studded with plump berries and they are so tender and tasty, don’t wait until you’ve got guests visiting to enjoy one at tea time. It’s not too sweet and it’s packed with the musky, fruity flavor of burst blueberries. Ridiculously easy to make and quick to serve from the freezer, so cinch the belt on your bathrobe, make another pot of coffee and put an old movie on TV. You’ve got this covered. PS If you’ve preordered, Mrs. Wheelbarrow’s Practical Pantry is shipping this week. I’ll be at farmers markets, book stores, holding classes, doing demos – details here. In a medium bowl, whisk together the flour, cornmeal, baking powder, salt and sugar. In a small bowl, whisk the egg, butter, milk and vanilla together. Add to the flour mixture and quickly mix with a fork. Fold in the blueberries. Divide the mixture between the four cake pans and bake for 40 minutes. (If in a 9×9 pan, for 30-35 minutes, if in a muffin tin, for 20-25 minutes). Cool the cake entirely before placing in a small ziplock bag and freezing flat. Warm in a 300°F oven for 12 minutes. I use my toaster oven. Serve warm. If you have leftover cake, it’s very nice toasted. Ooh, I was just thinking about my pyo frozen blueberries. This is perfect timing. 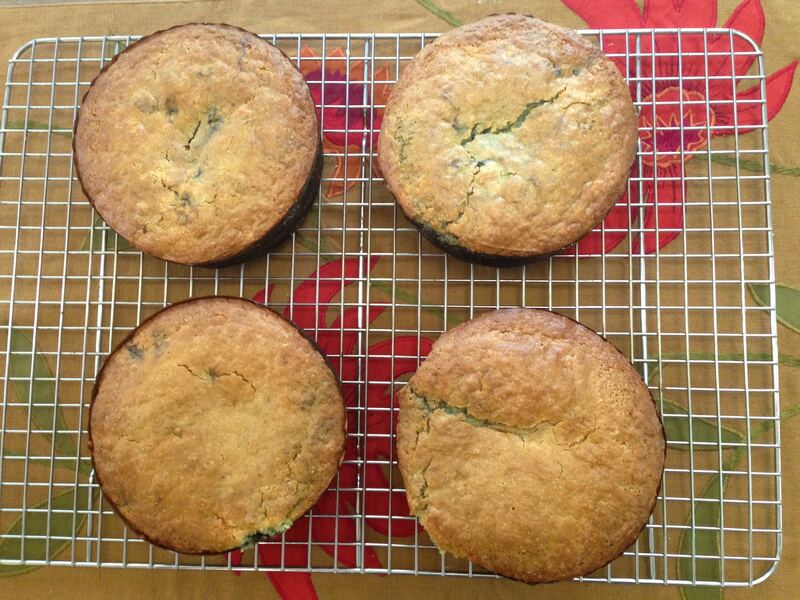 Love the make-ahead aspect of these cakes. You’re right, a little advance planning makes the holiday season so much more enjoyable. what an odd measure for the baking soda. this is why I pine for metric. otherwise, lovely, I love the use of cornmeal, can’t wait to try these. thank you for the recipe. Can you tell me if you have tried this recipe in a mini or full size loaf pan? Think it would be better for cutting up for the toaster. Also, for the fine-ground cornmeal, would a semolina grind cornmeal be too fine? Hi Marie – I have made these in an 8×8 baking pan, but not a loaf pan. thanks for your response! And the cornmeal? Any particular brand or type that you recommend? Do recommend thawing the blueberries so they don’t bleed? Yes, Ray – that’s true. 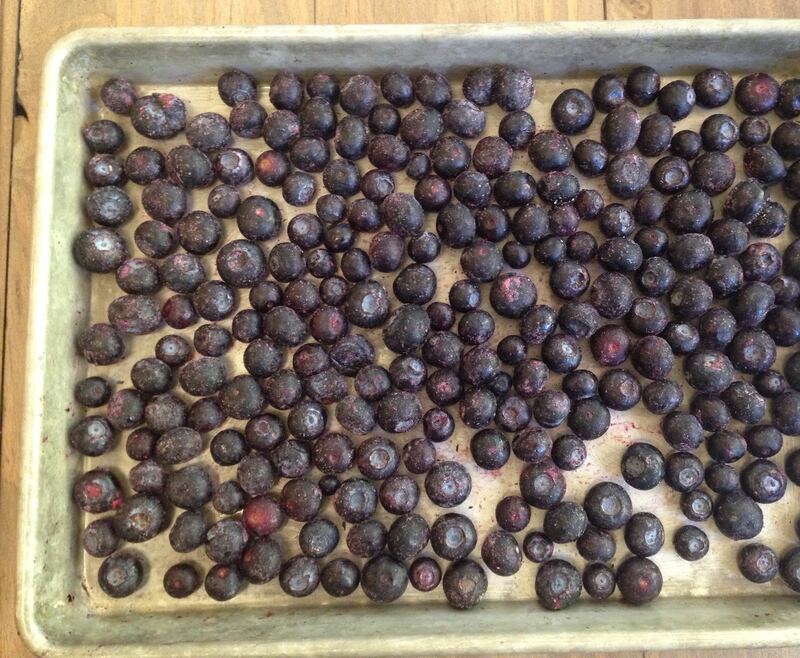 A frozen berry will bleed less. But if they defrost a little, a purple cake isn’t such a bad thing, right? I see cornmeal in the ingredient list, but not in the recipe instructions. When is it added? Darn it! You’re right! I’ve fixed it now. I’m not a fan of cornmeal; could I substitute something in lieu? Regardless, I’ve got a gallon Ziploc bag of blueberries in the freezer that were just waiting for a recipe like yours. Thx!